Currently he is a member of the Glass House Orchestra, a multinational ensemble that performs in Europe and North America, and the Astoria Tango Orchestra. He plays regularly with small ensembles in the New York City area, including a three year ongoing residence at Zinc Bar with Grammy nominee Emilio Solla. Aslan recorded Tango Jazz: Live at Jazz at Lincoln Center (Paquito Records 2010) with Cuban maestro Paquito DRivera and toured Europe the following year as music director of DRiveras Tango Jazz Septet. Other recent productions include Todo Corazon (Jazzheads) by flutist Mark Weinstein, Romance (Soundbrush Records) by pianist/composer Fernando Otero, Live at Caffe Vivaldi and Te Extraño Buenos Aires(Soundbrush Records) with pianist/composer Roger Davidson. Aslan has performed and recorded with Yo-Yo Ma, Shakira, Lalo Schifrin, Denyce Graves, Osvaldo Golijov, Pablo Ziegler, Frank London, the New World Symphony, and the Philadelphia Orchestra, among many others. 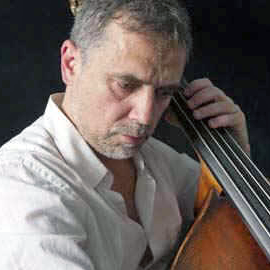 He has produced over a dozen albums for the Soundbrush label, including the 2007 Latin Grammy Winner Te Amo Tango by Uruguayan bandoneonist Raul Jaurena. He is currently at work on albums by the Glass House Orchestra, Tributango quartet, a CD of original compositions for Soundbrush Records, and a series of electronic tangos for dancers. An active researcher and educator, he has produced educational programs for Lincoln Center Institute, Carnegie Hall Neighborhood Concerts, and Arts Connection in NYC, and lectured and taught at several universities throughout the US, including Harvard, Yale, and UCLA. He served as the Artistic Director of the Reed Tango Music Institute in 2013-14 and is currently Featured Artist at the Indiana University Tangueros Conference.